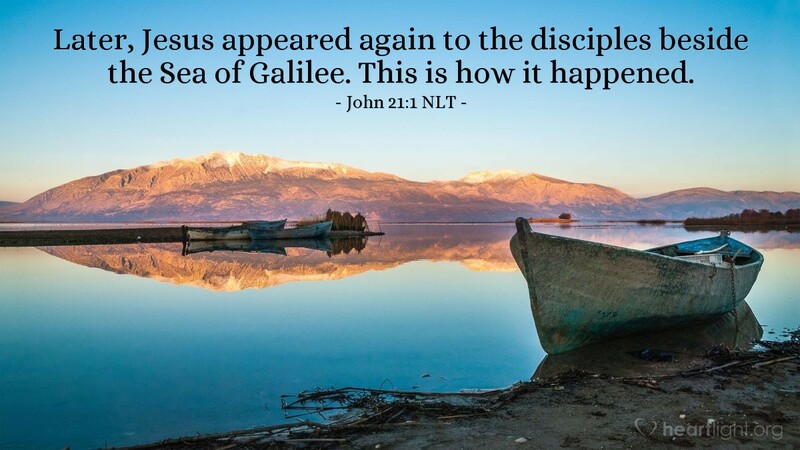 Jesus appeared to his disciples again, this time in a very familiar place — the Sea of Galilee. For several of the apostles, this was the place where they had fished, lived, collected taxes, and built their lives. This was also the place Jesus had found them and captured their hearts. In many ways, at this familiar place, Jesus would rekindle their sense of mission and ministry just like he had at first. Do you have a place where the Lord has been very real to you in the past — a familiar place where you have met him in quiet time, or he has touched you in some way? If not, I hope you will work to find such a place. If so, I would encourage you to go back to that place from time to time and let him renew and restore you and call you again to your life's mission and ministry! Holy and righteous God, my heavenly Father, stir in me a holy passion to serve and honor you. I cannot manufacture that passion on my own, but I need the power of your Spirit and a deeper sense of your abiding presence in my life. Give me spiritual discernment so I can see the direction you are calling me to serve you. In Jesus' name. Amen.